This poster lists "Low Fares to Pawnee and Ft. Riley, Kas. 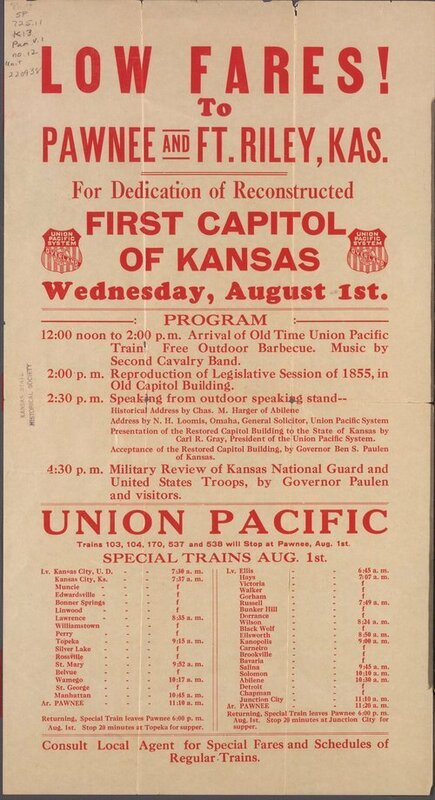 For the Dedication of Reconstructed First Capitol of Kansas." The Union Pacific Railroad paid for the restoration of the building and sponsored special trains to the event. The First Territorial Capitol was added to the National Register of Historic Places in 1970.